The NGT rapped the government and said it has failed to discharge its constitutional obligations and it was this failure that has exposed picturesque Shimla to natural and man-made disasters. 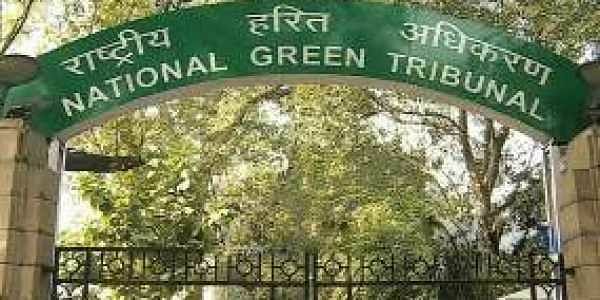 NEW DELHI: The National Green Tribunal today banned all types of construction, residential or commercial, in any part of the "green, forest and core areas" of Himachal Pradesh and within three metres of the national highways. The tribunal rapped the Himachal Pradesh government for permitting indiscriminate construction and said it has failed to discharge its constitutional obligations and it was this failure that has exposed picturesque Shimla to natural and man-made disasters. "If such unplanned and indiscriminate development is permitted, there will be irreparable loss and damage to the environment, ecology and natural resources on the one hand and inevitable disaster on the other," the bench said. A bench headed by NGT Chairperson Justice Swatanter Kumar restrained the Himachal Pradesh government and its departments from cutting hills and forests without prior submission of application for sanctioning of plans for construction. If any person is found to be damaging forest area or cutting hills without grant of permission of the authorities concerned, then the individual would be liable to pay environmental compensation not less than Rs 5 lakh for each violation. It also reiterated its earlier order banning use of plastic bags in Shimla and asked the authorities to ensure that no such material is "used, stored and sold" by the shopkeepers. On new constructions, it said, "Beyond the core, green/ forest area and the areas falling under the authorities of the Shimla Planning Area, the construction may be permitted strictly in accordance with the provisions of the Town and Country Planning Act,, Development Plan and the Municipal laws in force. Even in these areas, construction will not be permitted beyond two storeys plus attic floor." "However, if any construction, particularly public utilities (buildings like hospitals, schools and offices of essential services but would definitely not include commercial, private builders and any such allied buildings) are proposed to be constructed beyond two storeys plus attic floor then the plans for approval or obtaining NOC shall be submitted to the concerned authorities having jurisdiction over the area in question," the bench said. On old residential structures existing in the forest area, the green panel said that if these are found to be unfit for human habitation and in dilapidated condition, the implementation committee, constituted by NGT, may allow construction but strictly within the legally permissible structural limits of the old building. The implementation committee would be headed by the director of Department of Town and Country Planning, Himachal Pradesh. The tribunal appointed a "high powered expert committee", which would be responsible for carrying out the directions of the judgement and provide no objection certificate to the stakeholders including the state and private parties. The committee comprises urban development secretary, director of Wadia Institute of Himalayan Geology; director of Town and Country Planning; officer from National Disaster Management, member secretary of state pollution control board besides others. "This committee shall also advise the state of Himachal Pradesh for regulating traffic on all roads, declaring prohibited zones for vehicular traffic, preventing and controlling pollution and for management of municipal solid waste in Shimla. The recommendation of this committee should be carried out by the state government and all its departments as well as local authorities without default and delay," the bench said. There should be no regularisation of unauthorised constructions within the forest areas which have been raised without obtaining any prior permission, the tribunal said. It held that rain water harvesting system should be a mandatory requirement for all the building plans and even the old buildings must be provided with such system within three months. The bench also directed the state government to prepare an action plan for providing appropriate infrastructure, water and sewerage facilities, roads and other public amenities in the areas which lack such facilities. The judgement came on a plea filed by Himachal Pradesh resident Yogendra Mohan Sengupta and Sheela Malhotra who sought a detailed study on the carrying capacity of hills in Shimla.